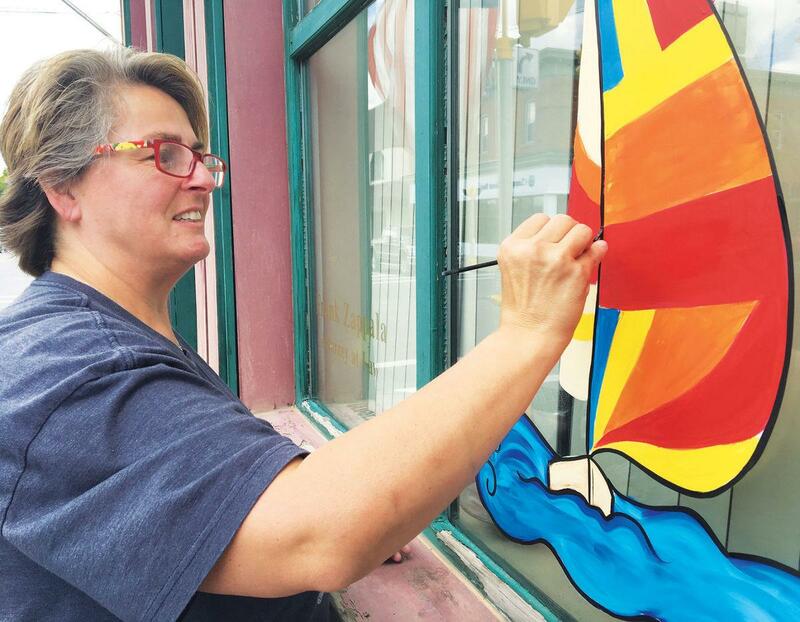 Landlubbers attending the Plattsburgh Mayor's Cup Regatta and Festival this year will see a fleet of murals on area businesses. With lots for visitors to do, the popular Boat Parade of Lights and the signature sailboat race, Mayor’s Cup runs July 6 through 9. Local volunteers are helping the Strand Center for the Arts paint murals on windows of downtown businesses in advance of the annual event.